The fully redesigned 2016 Honda Pilot has received a 2015 TOP SAFETY PICK+ rating from the Insurance Institute for Highway Safety (IIHS) when equipped with optional front crash prevention, bringing Honda one step closer to fulfilling the company’s goal to be the first three-row mainstream SUV with the highest available U.S. government (NCAP) and IIHS safety ratings. This IIHS distinction includes a top rating of GOOD in five IIHS crash test modes including a top score of GOOD in the Insurance Institute’s stringent small overlap frontal crash test. The 2015 TOP SAFETY PICK+ designation is awarded to vehicles that also have an available front crash prevention system that earns an advanced or superior rating from the Institute. The 2016 Pilot offers an available frontal crash prevention system that earns a top rating of superior. Current Civic and Civic IMA owners receive $500 towards Down Payment or Cap Cost Reduction, with the lease or purchase of a new 2015 Civic of 2015 Civic IMA through Honda Financial Services. Not eligible on previously reported sold 2015 Civic or 2015 Civic IMA (excludes Civic NVG). 2004 or new Civic in household. Trade in or current vehicle not required. Must be disclosed as Down Payment or Cap Cost Reduction assistance through HFS. Expires 11/2/15. Honda’s U.S. auto production has steadily increased over the past 33 years. Honda not only manufactures 97% of its U.S. auto sales in North America, but has become a net exporter – exporting more vehicles from the U.S. than it imports from Japan. Gold star is a Dealership technical training award program. 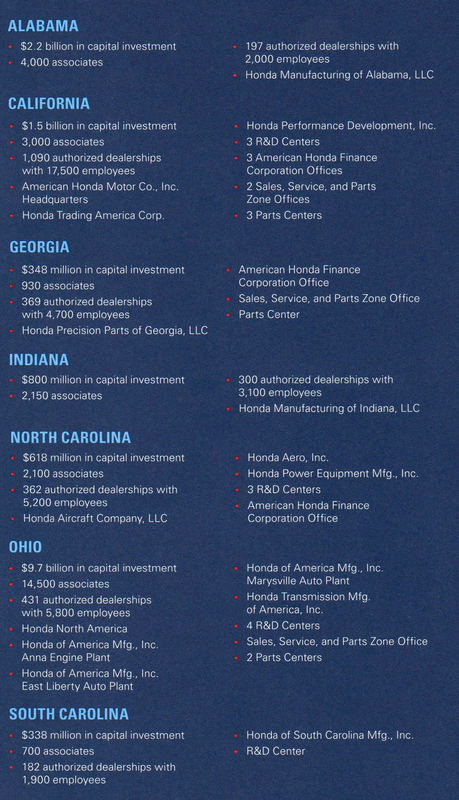 The Service & Parts department must meet 100% of Honda requirements to qualify for Gold Star Award. In addition in order to obtain Gold Star Elite Status the dealership must maintain that status to qualify. Ralph Honda is 1 of only 33 dealers in the country (That’s out of 1034 dealers) to receive Elite Status. We are 1 of only 4 in the New England Zone (out of 91 dealers) & The Only Dealer in New York State to have GoldStar Elite Status. 1. Before opening, use your hands to crush 1 package (11 oz) Nature Valley protein oats ‘n dark chocolate crunchy granola in the bag and ensure large pieces are broken up; set aside. In large bowl, mix 1/2 cup natural creamy peanut butter and 1/3 cup honey until thoroughly mixed. 2. 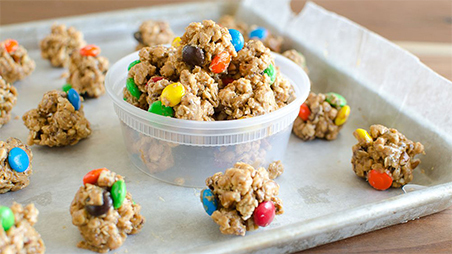 Open granola, and add to bowl, along with 1/2 cup candy-coated chocolate candies, 1/4 teaspoon salt and 1/4 cup chopped pecans. Use wooden spoon to gently mix until evenly coated. 3. With small cookie scoop, drop small mounds onto waxed paper-lined cookie sheet. Use your hands to reshape into balls, if necessary. Refrigerate about 2 hours or until firm. Store in airtight container in refrigerator up to 1 week.